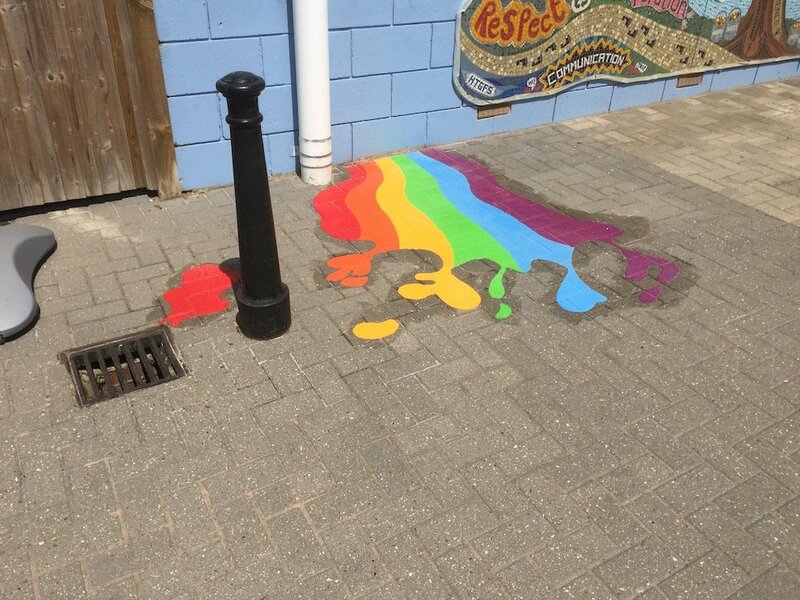 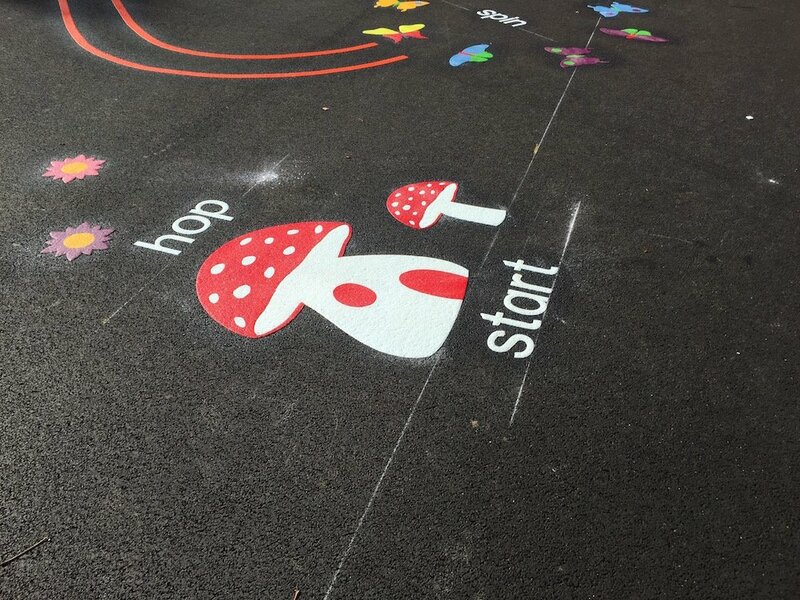 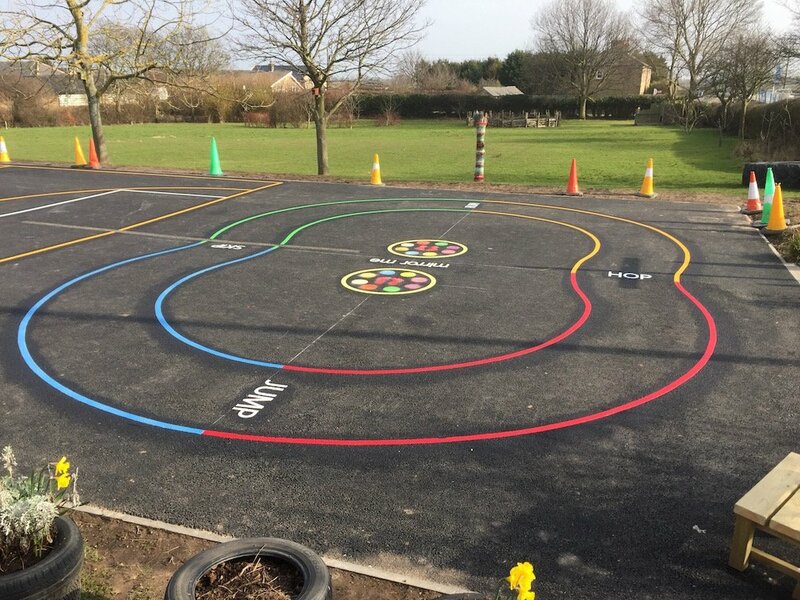 first4playgrounds carried out an installation of thermoplastic playground markings at Ark Priory Primary Academy in Acton, London last week. 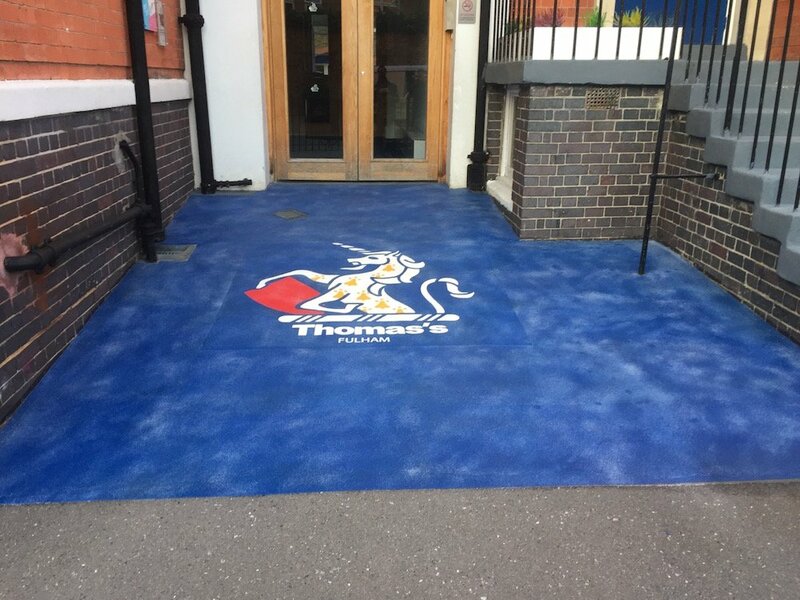 The academy school was built 2 years ago and at present has only nursery and key stage 1 children. 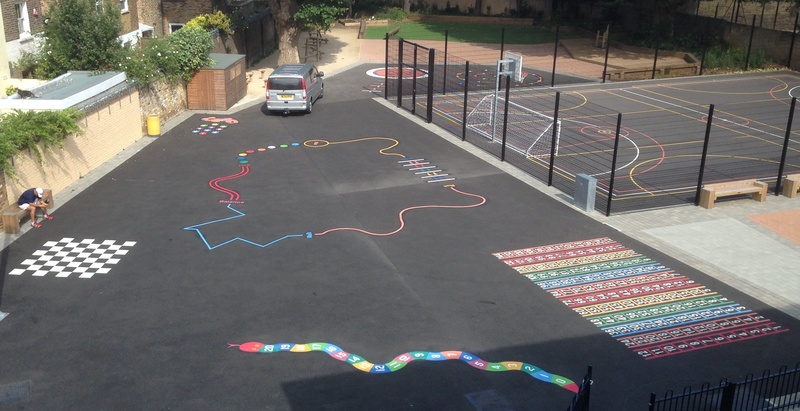 The older children will be starting in September 2014. 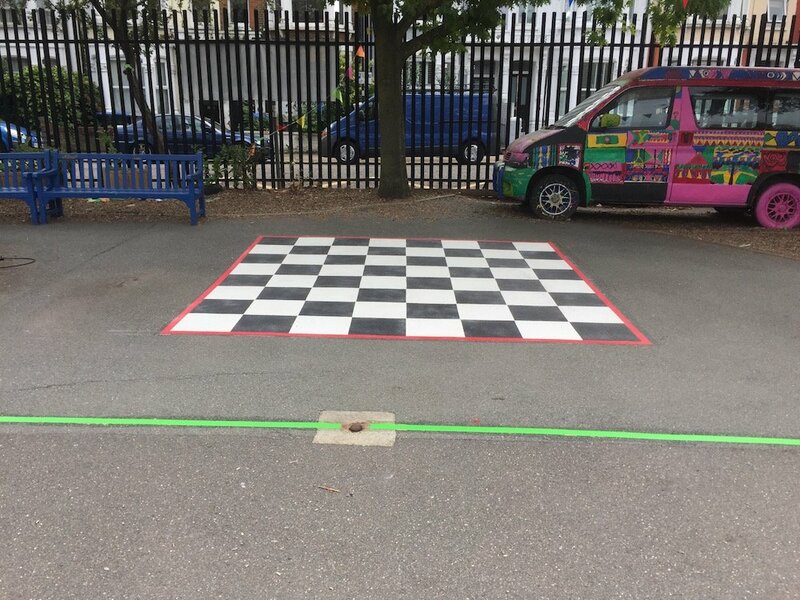 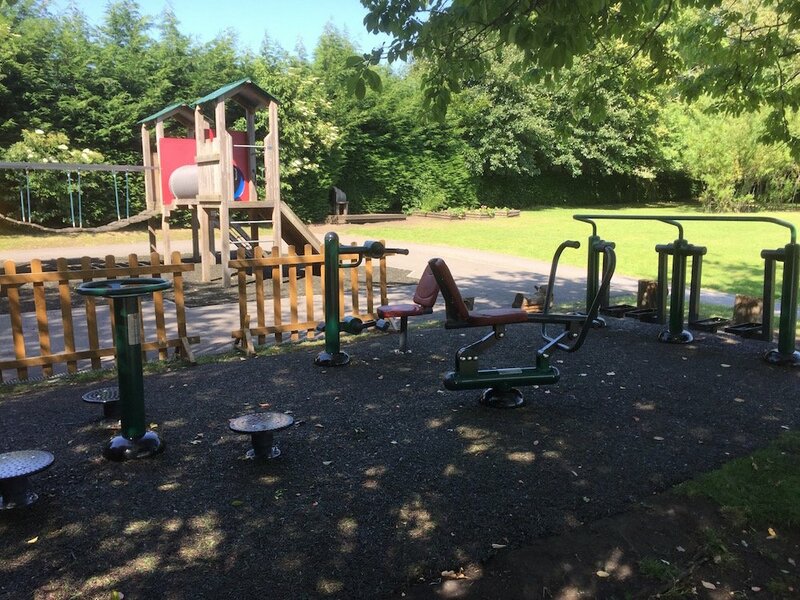 On a very hot day in London our installation team were overwhelmed by the hospitality of the staff at the school, especially the caretaker who provided refreshments to the workers at regular intervals. 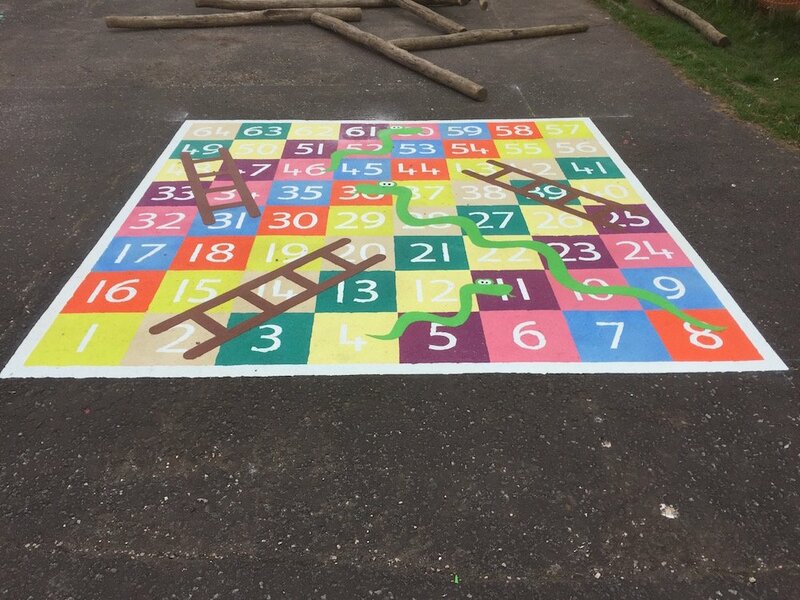 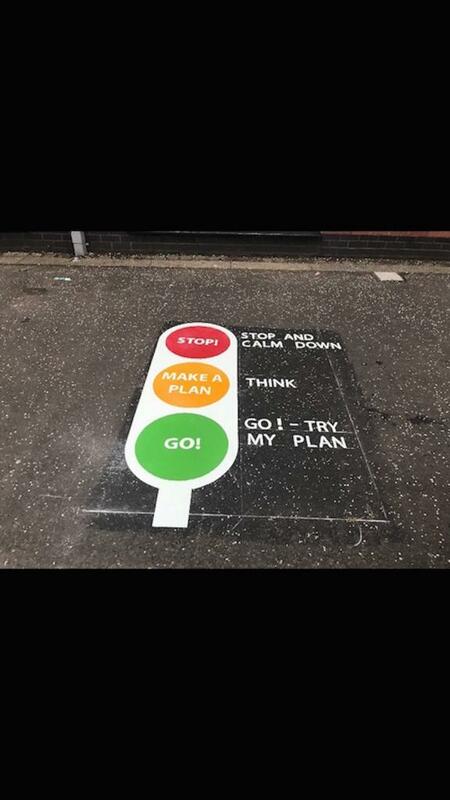 The main markings installed were an Activity Trail, 1 – 10 Dinosaur ,Number Ladders and Alphabet Spiral.